Figure 1. Cloud Deployment Planner virtual stack designer. 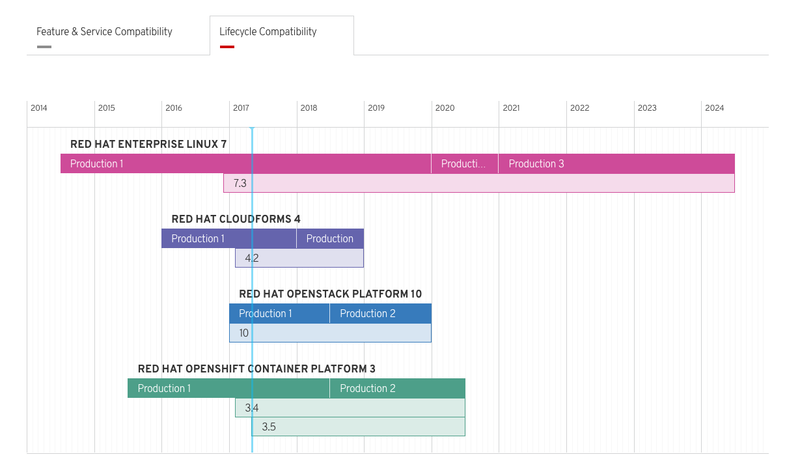 Since the creation and launch of the Red Hat Cloud Suite last year, additional tooling was provided to help make good use of all the technologies included in this stack. It's the Cloud stack you can't ignore when looking to facilitate both your infrastructure needs and your application development needs. 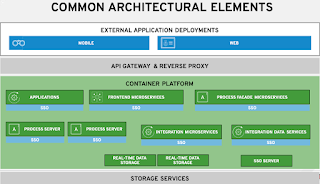 One key aspect is planning and designing a Cloud stack before diving in to setup a digital architecture using open technologies. 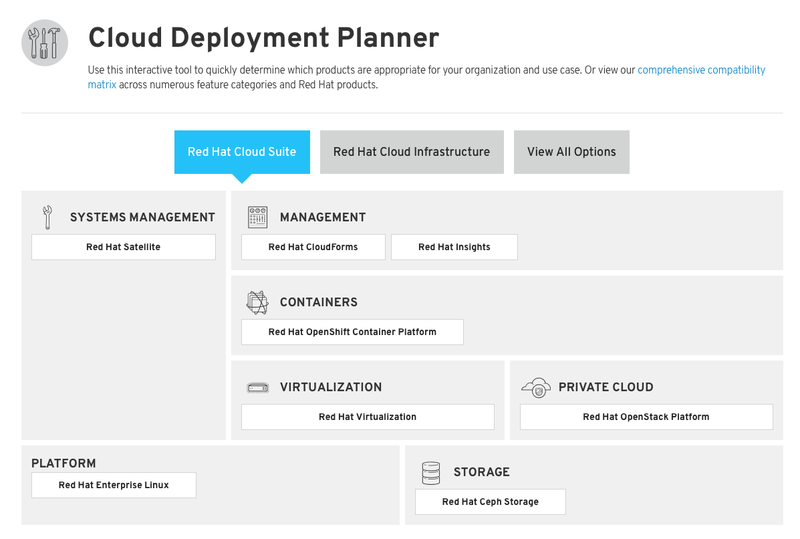 With that in mind, Red Hat published a free and useful tool to help with planning, designing and deploying your Cloud infrastructure with Red Hat Cloud Suite. This week a new version of this planning tool was released, called Cloud Deployment Planner, still freely available online. It includes a new feature to help visualized the planning of your components in your Cloud stack, called Virtual Stack Designer. 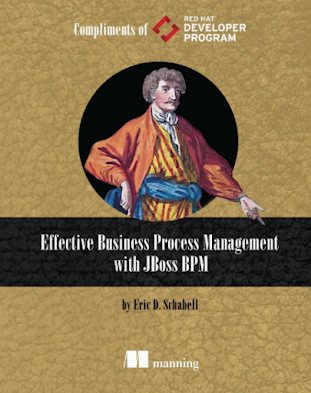 Let's look at how this tool saves time and effort up front when planning a Cloud deployment. When accessing the Cloud Deployment Planner, the first thing presented is the Virtual Stack Designer. 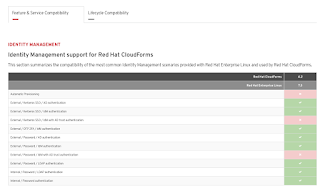 It is an architectural view of the available Cloud infrastructure components. Clicking on the components that are desired in a Cloud deployment causes them to turn a blue color, as shown in figure 2. Figure 3. Choose version numbers for selected components. Submitting the choices made by clicking on the Build button at the bottom automatically generates a view of the components selected with an array of version numbers. These versions allow alignment with current deployments and future thinking selections when exploring upgrade scenarios. Figure 3 shows how version numbers are selected, become blue, and generate a list of Feature & Service Compatibility tables. Each one provides an overview of what works (green with a check mark), what does not (red with an x) and what has issues (red with informational i). By clicking on the informational i a pop-up displays any issue details for further exploration. The compatibility information table is shown in figure 4 based on previous choices and is the results of an automated process integrated into how these technologies are productized. This part of the tool can save hours if not days of pouring through product documentation, pursuing online experiences, and trialling software in various proof of concept scenarios to verify compatibility. 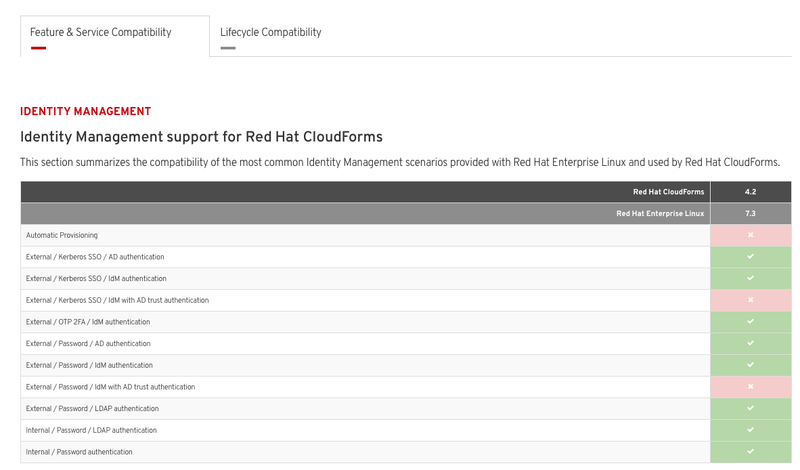 Finally, as icing on the cake, there is a second tab available reporting on Lifecycle Compatibility. Figure 5 shares the availability and lifespan of the components selected. 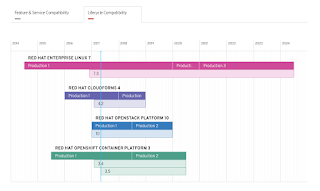 This provides an overview of how long a component and product is supported including overlaps to ensure deployments are supported throughout the projected usage plans. are done with supported components. 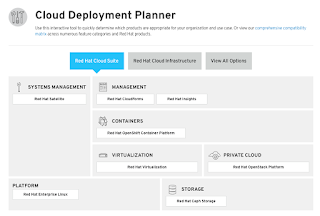 This is a really nice feature to save time with planning and rolling out new Cloud infrastructure or determining upgrade planning for existing Cloud architectures. 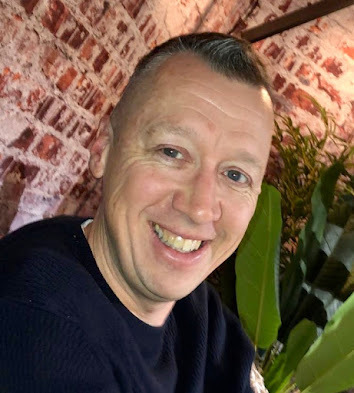 Time will be saved, which is cost savings in any organizations, so that efforts can be spent on delivering on Cloud deployments instead of stumbling on any of the issues covered previously. 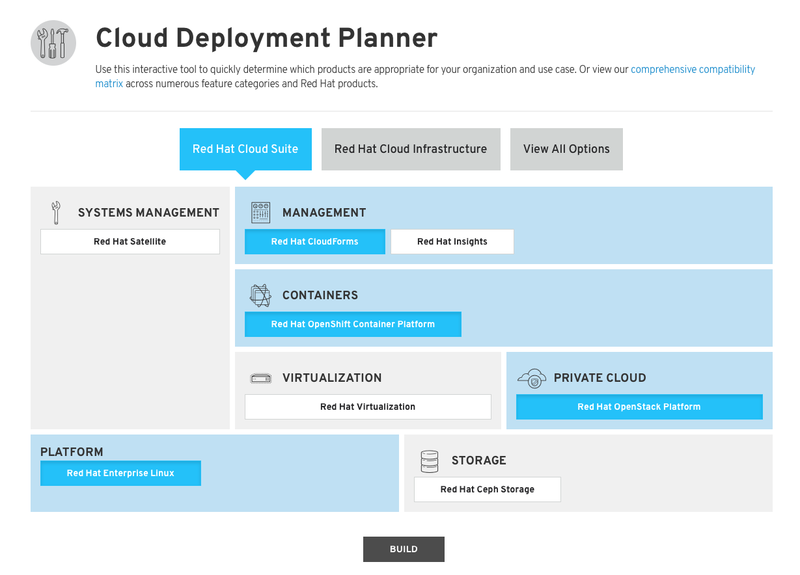 If you are looking to experience some of the possibilities around deploying containerized applications on Cloud deployments, visit the Red Hat Demo Central. Time to start planning your Cloud deployments using the free online tooling to ensure both time and efforts are saved up front. No more stumbling through your Cloud deployments!